Renato Mosca is the Founder and Senior Partner of Training Luxury. 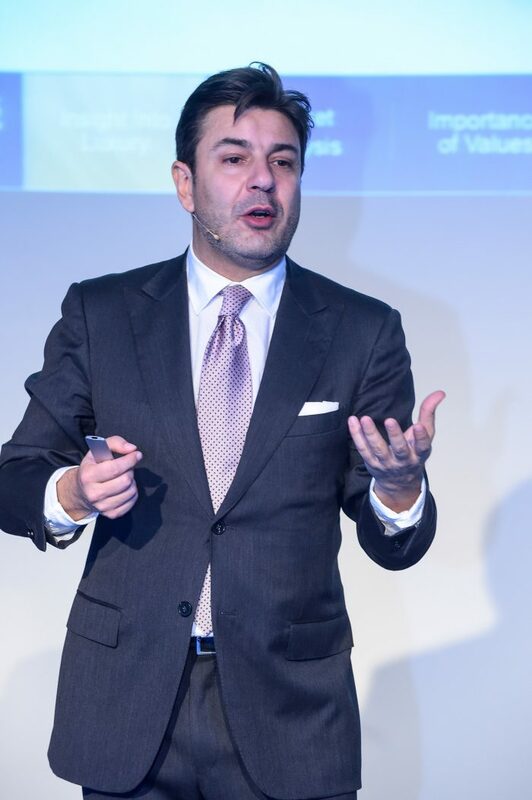 He graduated in Political Sciences at the University of Oriental Studies in Napoli (Italy), worked both as Head of Retail in Japan and Iberia and as “Group Retail Training Manager” for Ermenegildo Zegna, developing leadership and sales programs aimed to create a customer-centric organization. His multicultural experience achieved by working in all continents, makes him a natural at embracing people from different cultures. Renato is credible, open minded and passionate about people and luxury products. He fluently speaks five languages (English, Italian, Spanish, Portuguese and Japanese) and delivers luxury programs all around the world. He has trained in companies as Apple, Prada, MiuMiu, L’Oreal Luxury Div., Capri Palace, Ermenegildo Zegna, Loro Piana, Carolina Herrera, Saint Laurent, De Rigo, Fast Retailing, Luxottica, Aïshti, Mercury, Rodeo Drive, Rubaiyat, Tod’s, Saint Laurent, IBM, GE, Tetrapak, Credit Agricole, Marina Port Vell, Eurotherm, Pfizer, Novartis, among the others. He teaches luxury retail management at the University of Barcelona and IED Barcelona. He is professor invited on luxury goods in several universities like IESE MBA, IESEG of Paris, Università Cattolica of Milan, Rikkyo University of Tokyo, IUM of Monaco; École of Management of Grenoble and Eserp Business School of Barcelona. Renato has been invited to speak as an expert on luxury goods in international conventions.